Brooke Henderson showed great skill and determination on the weekend as she dominated the strong winds and the world-class competitors at Ko Olina Golf Club in Hawaii to win the Lotte Championship for her sixth LPGA Tour victory. After a disappointing round of shaky putting trouble in the third-round, Henderson finished strong at 12-under par for a four stroke victory. The 20-year-old from Smiths Falls, Ont. 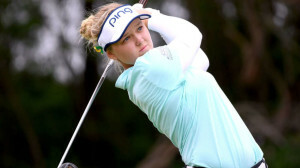 is already within two victories of tying Sandra Post’s LPGA Tour career record for Canadians. A charming young lady, she has talent and skill and the strength of character to push through against all obstacles. She also demonstrated her integrity and generosity with effusive praise for her supporting team, especially her caddy, sister Brittany, and a thoughtful tribute to the families of Humboldt, Saskatchewan after the tragic bus accident for the Broncos hockey team. A great Canadian, athlete and inspiration.